A New Car Vs. 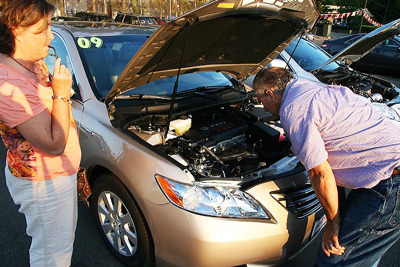 Your Used Car: What's The Greener Option? (BPT) - Buying a new car to reduce your carbon footprint seems logical. But surprisingly, keeping the vehicle already in your garage, or replacing it with a more fuel efficient used car may be a greener choice. That’s because it takes a lot of energy and raw materials to manufacture a new vehicle. "It varies between models, but it is reasonable to estimate building a new $30,000 midsize car will generate greenhouse gases that are the equivalent of 14 metric tons of CO2," says RockAuto.com Vice President, Tom Taylor. The average car on the road is about 11 years old. EPA data shows that vehicles (cars and trucks) built in 2005, on average, emit 447 grams of CO2 per mile. A 2016 vehicle is expected to generate about 90 grams less than that every mile. Producing less CO2 is good, but it would take more than 150,000 miles of driving for that 90 grams in CO2 savings to add up and compensate for the 14,000 kg (14 metric tons of CO2) it took to build the new car. Especially for someone who does not drive a lot, it could be greener to just keep a well maintained older vehicle than to build a new one. How much do you save with an electric car? Electric cars do not have tailpipes, but an electric car is still on the hook for "upstream CO2" emitted by the utility which provides the electricity for the car. The EPA estimates upstream CO2 is around 100 grams per mile for most electric vehicles. That is a whopping 347 grams less than what is produced by the average vehicle built in 2005, but it would still take over 40,000 miles of driving before the electric car saved enough CO2 to cover the greenhouse gas cost of building it in the first place. What about the CO2 equivalent discharged while making parts to fix an older car? Brake pads, struts, tires and other parts wear out as the miles pile up. Fortunately, unless the vehicle is involved in an accident, the structure that makes up most of a car will never need to be replaced. Many smaller parts like alternators and major parts like engines and transmissions can be remanufactured. Remanufacturing means only the components that experience wear are replaced. Metal housings and other major pieces can be cleaned, refinished and reused. "Remanufacturing saves more than 80 percent of the energy and raw materials required to build a new part from scratch," Taylor says. Less energy and materials means less CO2. Car manufacturers are using more recycled materials and updating factories to use less energy. 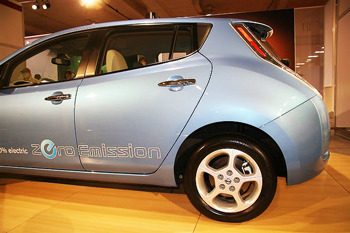 Government mandates require future vehicles become increasingly more fuel efficient. "Upstream CO2" may decline as utility companies find new, greener ways to generate electricity. Nevertheless, keeping your current car well maintained or buying a more fuel efficient used car are currently great choices if you want to be green.